SaveMore.com: Free bottle of nail polish + free shipping! Head on over here to sign up at SaveMore.com and receive a free $10 credit in your account. You can use that credit today to purchase a voucher good for one free bottle of nail polish from Fabulous Nails. This deal also includes free shipping so you'll be getting it completely free! Expires September 2, 2012. Free shipping included. Voucher will be available for redemption on 9/2, at 12pm CST. Redeem online at Fabulous Nails. Limit one per person. Delia*s.com: Up to 80% off clearance + free shipping when you spend $25! Delia*s currently has lots of clearance items, with some marked 80% off the original price! Swimwear and tops are starting as low as $5.99, jeans starting at $9.99, dresses starting at $14.99 and accessories starting at $3.99! Plus, you can use code "25RMNND" to get free shipping on any order over $25! Head on over here to start shopping. And be sure to come back and let me know what deals you score! E.L.F Cosmetics: Free shipping on orders over $15! White Castle: $5 off a Crave Case when you order online! 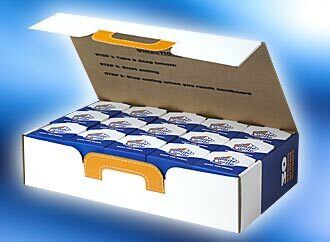 Now through October 1st you can get $5 off any 30 slider crave case at White Castle when you place your order online! Just enter code "CRAVE" at checkout to receive this discount. You can head over here to check out all the details. This makes me so sad that we don't have a White Castle nearby. I love me some sliders. The Nintendo 3DS recently had a huge price drop from $249 to $169.99! As if that weren't already a great price, you can head on over here to buy one on ebay for just $149.99 with free shipping! They are available in Cosmo Black and Aqua Blue. SaveMore.com: Free Collapsible Water Bottle! Currently when you sign up at SaveMore.com you will receive a free $10 credit in your account. You can use that credit today to get a free collapsible water bottle including free shipping! Plus, this deal is only $5 so you'll still have $5 to use for a different deal later! Expires March 1, 2012. Free shipping included. Voucher will be available for redemption on 9/1, at 12pm CST. Redeem online at WaterBottle.bz. Limit one per person. If you're interested then head on over here to sign up and get your free credit. Chick-Fil-A: Reserve a free breakfast item, starts tomorrow! 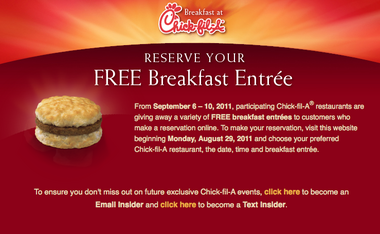 Starting tomorrow, 8/29/2011 you can head on over here to reserve a free breakfast item from Chik-Fil-A! Men's Warehouse: Everything is B1G1 Free! Men's Warehouse currently has everything buy one get one free! You can also score free shipping if you choose to have your order shipped to a local store. This is a great deal if you are in need of some nice dress clothes. They have ties as low as 2 for $10, dress shirts as low as 2 for $20 and more! Head on over here to start shopping. 1SaleADay.com: 10 foot HDMI cable just $1 shipped! Hurry on over to 1SaleADay.com to score a 10 foot HDMI cable for just $1 including free shipping! This is only available for the next 8 hours, or until they sell out so be quick if you want it! JackThreads.com: Inexpensive men's clothing & accessories + $10 back! JackThreads is a members-only, online shopping club that curates top-tier street, skate, surf and contemporary men's fashion brands - offering daily sales of up to 80% off on what's hot right now. Our premise is simple. We scour the globe to unearth the freshest looks and the deepest discounts available, and then deliver them to your inbox every day. There are no long lines, crowded aisles or bargain bins, just style and savings. Our goal? Empower our members to feel like a million bucks without spending a million bucks. We want you to stay fresh, for less. Currently you can get $10 back when you make a purchase at Jack Threads before August, 31st! To get in on this deal just head on over here to sign up for an account and if you make a purchase before 8/31 then you will receive a free $10 credit in your account on September 1st! They already have some great prices so you might even be able to snag something for free with this $10 credit! Modnique.com: Free $5 credit and free shipping = Cheap Items! Currently when you sign up at Modnique.com you will get a free $5 credit in your account. You can use that credit today to get some great items at even better prices! Scarves starting at just $6 after your $5 credit! Bamboo items for your kitchen starting at just $5 after your $5 credit! To get in on these deals just head over here to sign up and receive your free $5 credit. Then click where it says "All Events" at the top of the page and scroll down until you see the sale you want. When you get ready to buy your item you will be able to apply your $5 credit and also check the box that lets you get free shipping just for signing up for the daily emails. Gourmet Footwear - 50% off! Gourmet Footwear is currently having a half off sale on select styles of men's shoes. It looks like they have shoes starting at $30 which isn't bad at all for a pair of high quality sneakers. So, if you're in need of some new shoes then head on over here to check them out! 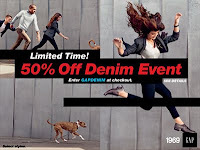 Gap.com: 50% off denim and free shipping! Head on over to Gap.com and use coupon code "GAPDENIM" to receive 50% off all denim! You can also get free shipping when you spend $50 or more. The great thing about this is that it counts the price BEFORE the coupon code so you don't actually have to spend $50 to get your order shipped for free! 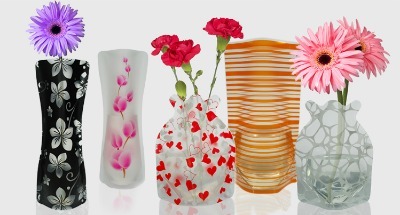 SaveMore.com: 2 Free Expandable Vases! Expires February 26, 2012. Free shipping included. Voucher will be available for redemption on 8/26, at 12pm CST. Redeem online at TheVaseStore.net. Limit one per person. UrbanOutfitters.com - Free Shipping, Two Days Only! Now through August 25th you can use coupon code "FREEFALL" at UrbanOutfitters.com to score free shipping on your order! Standard shipping is normally $10.00 so this is a great deal! I would suggest checking the sale section to possibly score some awesome bargains. Amazon.com - 6 ft. HDMI Cable for $1.73! 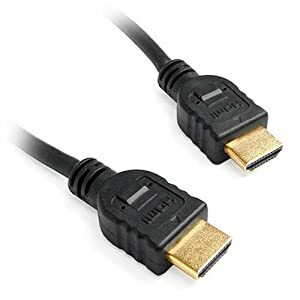 If you're in need of an HDMI cable then you may want to head on over to Amazon.com and check out this deal. You can currently get a 6 foot HDMI cable for just $1.73 with free standard shipping! Please note that you will have to pay a flat rate of $2.95 to ship your order from Sunglass Warehouse unless you spend over $25 which will give you free shipping. Expires February 24, 2012. 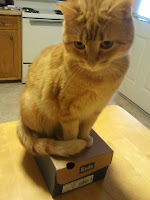 Flat rate shipping of $2.95 not included; shipping free for purchases over $25. Voucher may not be combined with any other offers or promotions. Voucher may only be used in one transaction. No cash back value. One voucher per transaction. 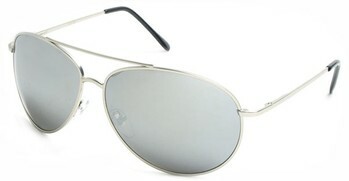 Redeem online at SunglassWarehouse.com. Limit one for yourself and one as a gift. Head on over here to sign up at savemore.com and get in on this deal. P.S. I have had a few people ask me about how to go about getting your items that you order from savemore.com. Keep in mind that you are only ordering the voucher from savemore. After you have purchased your voucher and the sale for the item has ended, log in to your savemore account and when you hover over your name at the top just choose the option that says "My Deals". You will then see any vouchers that you have purchased. Find the voucher you are looking for and then click on "view it" to bring up a PDF with instructions on how to redeem your voucher. Hope this helps! Head over here to request a free sample of John Frieda Flyaway Tamer. Bloom.com - 30% back on your first purchase! Bloom.com is the first social beauty store to give you personalized, unbiased recommendations from over 130 Top Beauty Brands, plus free gifts and 10% rewards on every purchase. Currently when you make your first purchase at Bloom.com you can enter code "30BACK" to receive and extra 20% of your purchase back in Bloom Dollars, making it a total of 30%! Bloom Dollars are just like cash that you can use on future purchases from Bloom.com. In addition, if you spend $49 dollars or more you will score free shipping AND you get free samples with every order! Head on over here to start shopping. 1SaleADay.com - $1 IPhone 4 case! Here is a great deal if you have an IPhone 4 or know someone who does. 1SaleADay.com has IPhone 4 cases for just $1 with free shipping! These would make great stocking stuffers! (Yes, I'm already thinking about Christmas...) This deal is only available today though so be quick if you want one! Disney Watches - $19 after $5 credit. Ed Hardy Kids - As low as $5 after $5 credit. Accessories from Bali - As low as $5 after $5 credit. To find these sales, head over here to sign up and get your $5 credit. Then click on "All Events" at the top and scroll down until you see the event you're interested in. Keep in mind that items are arranged highest to lowest price so the cheapest items will be at the bottom of the page. 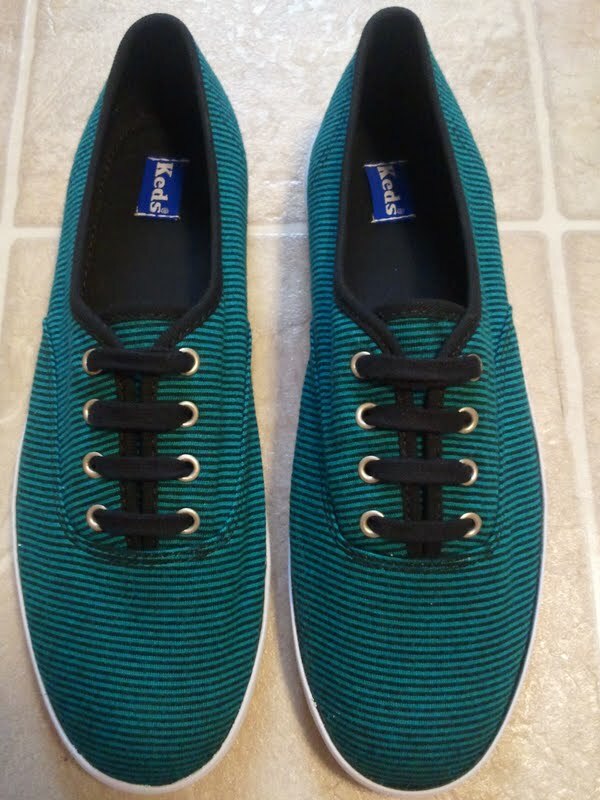 Modnique.com - Free $5 credit = Cheap Shoes! Currently when you sign up at Modnique.com you will receive a free $5 credit in your account. You can use that credit today to score some great deals on shoes! After you have signed up, click on "all events" at the top and scroll down until you see the sales event for Girly Girl Shoes. They have flip flops starting at $10 which means just $5 after your $5 credit. Even better? You will also get free shipping! Just $10 after $5 credit! Just $9 after $5 credit! Just $5 after $5 credit! Head on over here to sign up and let me know what deals you score! Stagestores.com - Extra 30% off everything and free shipping! Stagestores.com currently has a coupon code good for 30% off your entire order + free shipping! Just enter code "3581611" at checkout to receive this discount. Head on over here to start shopping. Modnique.com - Free $5 credit = $5 mineral makeup! Currently when you sign up at Modnique.com you will receive a free $5 credit in your account. You can use that credit today to get Ciga mineral makeup for just $5! Remember that if you sign up for the daily emails you will also be able to get free shipping. Sounds like an awesome deal to me! Head on over here to sign up and start shopping. Payless.com - B1G1 50% off, plus an additional 30% off! Payless.com currently has everything B1G1 50% off AND you can use coupon code "53833" to receive an additional 30% off your purchase. In addition, you can choose to have your order shipped to a local payless store for free! Head on over here to start shopping. Rue La La - Free $10 credit for new members! Now through August 23rd, anyone who signs up with a new account at RueLaLa.com will receive a free $10 credit! It may take up to 48 hours for you to receive your free credit but when you do, you can use it towards anything on the site. The sales change daily so if you don't see anything you want now, keep checking back! I have personally used free credits on this site to score totally free stuff so I would definitely suggest heading over here and signing up for this deal while you can! Head on over here to request a free sample of Shout wipes. There are a limited number of samples available so be quick! Urban Decay sale = cheap makeup! Price - $1.00, Originally $20! Price - $3.00, Originally $22! Price - $6.00, Originally $32! Head on over here to check out the rest of the sale items. Free SaveMore.com $10 credit = $25 worth of jewelry for only $2! Currently when you sign up at SaveMore.com you will receive a free $10 credit. You can use that credit today to get a great deal on jewelry! They have a $25 voucher to inspiredsilver.com for $12, which means just $2 after your credit! This even includes free shipping and could mean some cheap gifts or just a treat for yourself. If you're interested in this deal then head on over here to check it out. I would also suggest checking out inspiredsilver.com before buying the deal to make sure they have something you like. Expires February 19, 2012. Free shipping is included (in the US only). Not valid for cash back. Must use in 1 transaction. May not be combined with any other offers or promotions. Offer not valid until day after close of deal. Redeem online at InspiredSilver.com. Limit 1 for yourself and 1 as a gift. New York & Company - $25 off $60 purchase and free shipping! Head on over here to start shopping. As always, I would love to know what deals you find! JCPenney Red Zone Clearance = 50 to 80% off select items! Price: $14.99 - Originally $50! Price: $5.97 - Originally $30! Price: $5.99 - Originally $20! Price: $5.99 - Originally $30! Price: $5.20 - Originally $26! Head on over here to check out all of the clearance items and be sure to let me know what deals you find! P.S. Thanks Chris for sharing this deal with me! My free shoes from MyHabit.com are here! A few days ago I posted about a deal on MyHabit.com where you could get $25 off any order (no minimum purchase required.) I ended up using this code to get a pair of Keds completely free! Well, they came in today and I just had to show you that even though this deal may seem too good to be true, it isn't! If you haven't already gotten in on this deal you should definitely head on over here and use coupon code "INTLSHIP" to receive up to $25 off your order. Remember that this site is owned by Amazon so you can also use any Amazon.com gift credits that you may have in your account. AND they offer free shipping! Keep in mind that new sales are posted daily at 11am CST and items tend to go quickly so if you aren't able to get anything on your first try then don't give up! I'd love to hear what items you get so make sure to come back and let me know!